Once you become CEO, you don’t usually leave that job without a pretty good reason. But that’s exactly what Facebook cofounder Mark Zuckerberg gave David Marcus — then PayPal’s CEO — when he invited him over for dinner last May, according to Wired’s Jessi Hempel. Zuckerberg was looking for someone to lead Facebook Messenger — and its team of less than 100 — which had already lost ground to popular message apps like Snapchat and Viber. That’s part of why Facebook bought WhatsApp, an especially popular messaging app in developing countries, last February. Zuckerberg wanted Marcus to do just one thing: make Facebook Messenger a dominant platform in North America. The Facebook cofounder saw how Marcus has succesfully sold his startup to PayPal in 2011 and had become its CEO in no time at all. Similarly, Zuckerberg planned for Messenger to operate as its own startup within Facebook, and its leader to have complete control over the product. With his killer combination of entrepreneurial skills, larger company know-how, and a payments background to boot, Marcus was just the guy to run it. Marcus agreed to consider the job. He was ultimately swayed by Facebook Messenger’s growth. 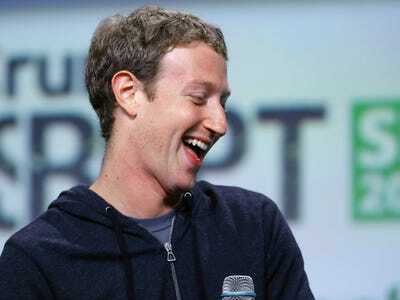 Facebook announced Monday that it reached 500 million monthly active users. That’s up from 200 million monthly active users in April. Part of the reason for that rapid growth is that Facebook is forcing users to use Messenger to send messages instead of the regular Facebook app.